Like fine wines, beer requires an exceptional receptacle. Peugeot beer glasses are designed to enhance the character of the beer and celebrate its natural flavours, the alliance of its unique smell and taste. 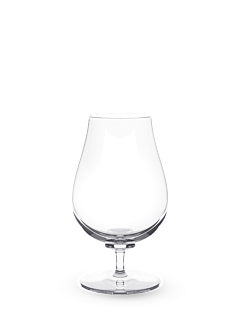 With delicate curves, resting on a fine stem that allows the beer to be turned in order to enable its aromas to be released, the Peugeot beer glass, with its tapered rim and edges discretely leaning outward, promotes the persistence of the head. It magnifies the reflections of the colour and the incessant dance of bubbles, exalts the fresh and intense bouquet of hops, while concentrating all the nuances of the aromatic palette of the beer for an original sensory experience. There are as many glasses as there are types of beer, because each has a uniqueness. However, according to the best experts, the best glass to enjoy a beer is the wine glass, since it allows the oxygenation and concentration of aromas and the development of the bouquet, revealing all the subtlety and complexity of the aromatic profile of the beer. With this in mind, but refusing to give up its commitment to its heritage, tradition and history, Peugeot conceived an original beer glass that lies at the crossroads of a mug-style glass linked to the heritage of abbeys, and a wineglass.